Virtuoso baroque violinist Elizabeth Blumenstock is a local treasure. 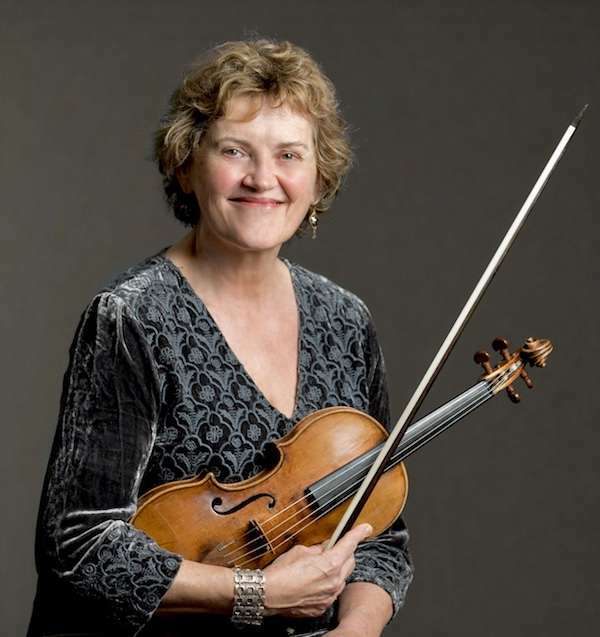 Bay Area early music fans know her well from her many years with the Philharmonia Baroque Orchestra and American Bach Soloists, often in the concertmaster’s chair. We don’t often get her all to ourselves, though, so we’re thrilled to be hosting her at Fifth Street for this rare solo recital. There’s no shortage of videos of Elizabeth online. Here are a couple we recommend, to tide you over until you get to see her in person: playing a Biber violin sonata with Voices of Music and talking about her baroque violins. Elizabeth will treat us to a program of solo violin repertoire and share her thoughts with us about each piece. Come join us on June 9th!